The cottage is located 100 mtrs off the R335 between Leenane and Delphi Valley on the Wild Atlantic Way. For driving directions please use the map on this page. Shannon Airport 2 hrs. 30 mins. Dublin Airport 3 hrs. 30 mins. Leenane, Killary Harbour 15 mins. 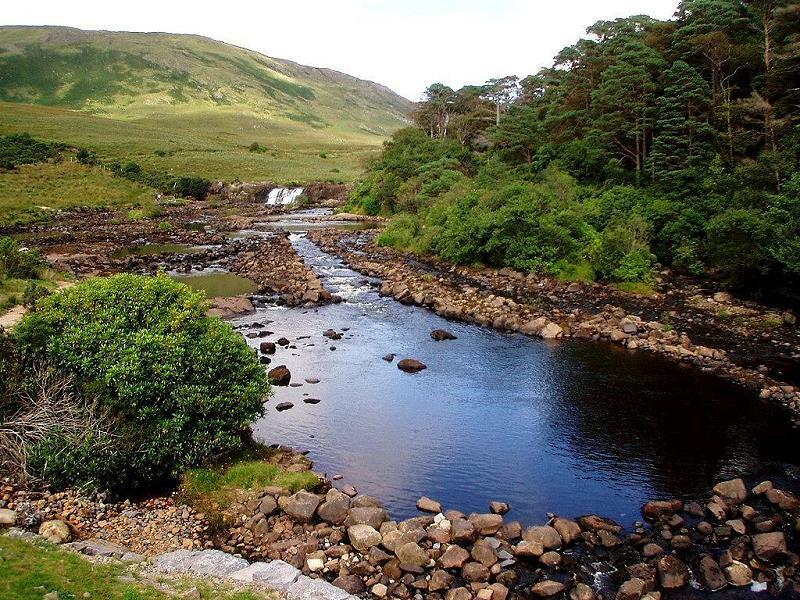 is one of the most beautiful, unspoilt places in Ireland. 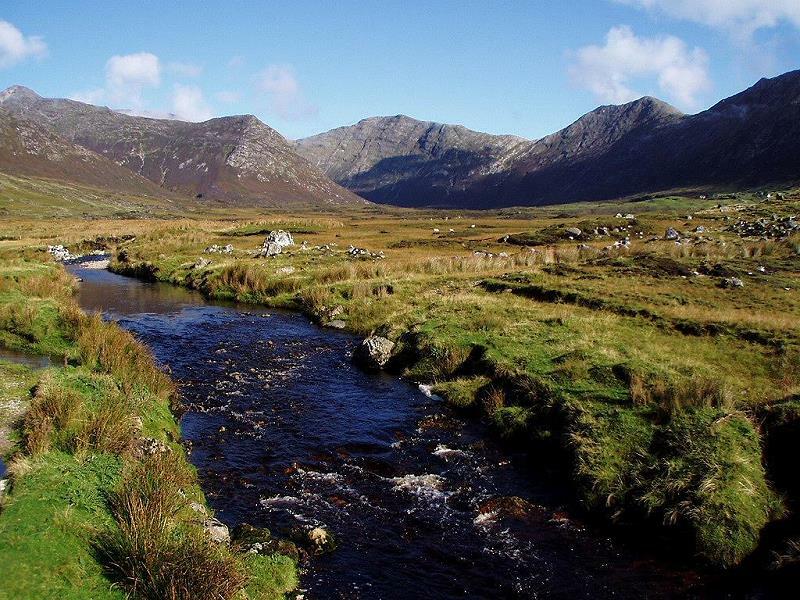 Roughly bordered by Killary Harbour in the north and Roundstone in the south it features fascinating mountains, lakes, bogs as well as golden beaches. You can reach all sights on easy half-day or day trips from the cottage. 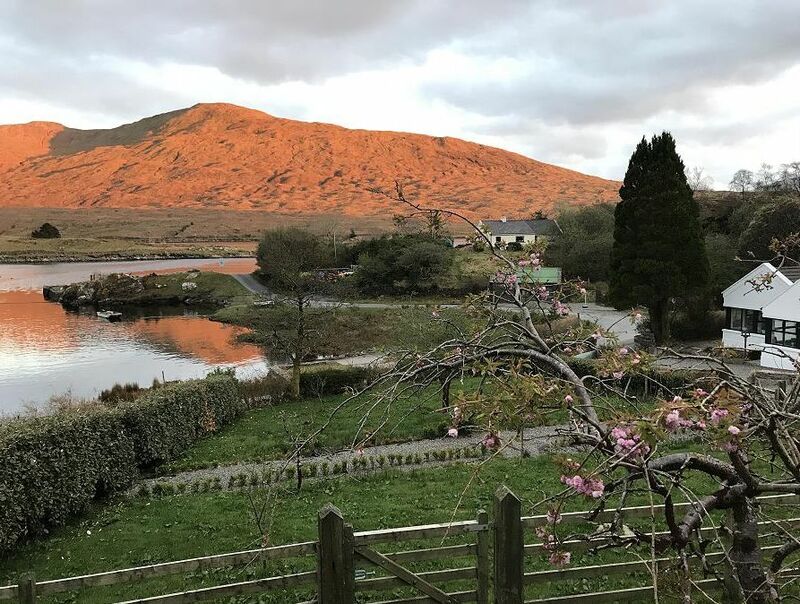 Killary Harbour extends 16 kms inland and with the mountains rising steeply on either side provides what is probably the best scenery in Ireland. 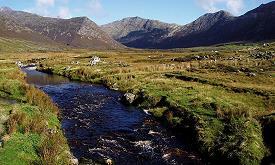 Walkers have access to Mweelrea, Sheefry, Partry and Maumturk Mountains. 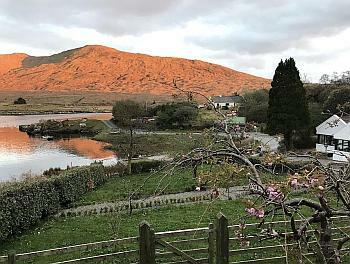 The village of Leenane, snugly situated at the head of Killary Harbour, is often aptly described as the 'Gateway to Connemara'. The roads from Maam, Clifden, and Westport meet at this point. Leenane with its surrounds is a haven for geologists due to a great variety of sedimentary, volcanic and metamorphic rocks. 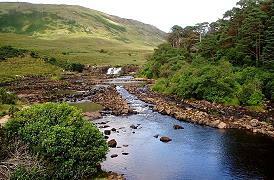 Well known beauty spots include Aasleagh Falls and Doolough Valley, scene of the tragic famine walk. 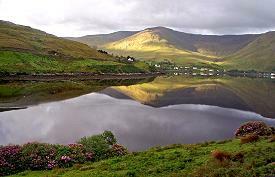 A film adaptation of John B. Keane's famous play "The Field", directed by Jim Sherdian, was made in Leenane in 1989. Well-known stars taking part included the late Richard Harris, John Hurt and Tom Berrenger. Visitors can visit many of the locations used as sets in the film. Leenane has a small shop, cafés and restaurants. This small town on the southwest corner of Clew Bay is home to Sancta Maria College and the Interpretive Centre for Gráinne O'Malley (Granuaile in Irish folklore, she is a well-known historical figure in 16th-century Irish history, and is sometimes known as "The Sea Queen of Connacht"). On the May Bank Holiday Weekend the town hosts a traditional music festival - Féile Chois Chuan - which attracts a large number of enthusiasts from many parts of Ireland and abroad. Louisburgh offers all important services; post office, bank, shops & pubs, restaurants and takeaways. The designated heritage town of Westport is a popular tourist destination and hosts a number of famous pubs and excellent restaurants. Many festivals and events are held in and around Westport each year. Westport House, which was designed by the famous architects Richard Cassels and James Wyatt in the 18th century, is considered one of the most significant historic homes in Ireland and is open to the public. It is situated in beautiful parklands with a lake, terraces and gardens. Please read the next page to find out about many of the activities in this area!